There are lots of wonderful aspects to researching the Second World War, the stories of the indomitable spirit that people showed even in the worst of time, the grim humour and the accounts of extraordinary courage and derring-do. I never know quite where my research will lead. But I do know that one of the most amazing things of all is talking to people who were actually there at the time. And one of the saddest things is that so many of the people I have spoken to during the course of my research have since died. A few years ago I found myself talking to Lauren Bacall. I was in Italy researching my Lavender Road series. We were staying in Roncade, a small town in the Veneto. It was New Year’s Day and most of the cafés were shut. But there was one place open, so we went in for a coffee before leaving for our flight home. The café was called Il Grillo, not, as we thought, something to do with the cooking methods employed there, but after its owner, whose nickname was ‘il grillo’ (the Italian word for a cricket.) He was indeed a very lively (and amusing) man! He was fascinated to hear about my research and told us proudly that Roncade was a famous place because not only did Ernest Hemingway pass through the town towards the end of the war but that Lauren Bacall was also a frequent visitor and had, over the years, become a personal friend. Apparently misinterpreting my somewhat bemused expression as one of scepticism, he took out a mobile phone and dialled a number. A moment later he handed me the phone and, to my astonishment, there was Lauren Bacall on the other end, apparently quite happy to have been woken up in the middle of the night in Los Angeles to wish me Happy New Year! She couldn’t have been more charming. 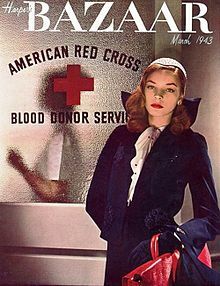 At the beginning of the war, at the age of seventeen, (rather like my Lavender Road character Jen Carter,) Lauren Bacall took acting lessons at the American Academy of Dramatic Arts, where she was classmates with Kirk Douglas. To make ends meet, she was, at the same time, working as a theatre usher and a fashion model. In 1943 she was chosen to appear on the cover of Harper’s Bazaar. The following year she appeared for the first time as a leading lady in the Humphrey Bogart film To Have and Have Not and her career was launched. But now, like so many of the icons of the wartime years, she has passed on, leaving the world a less glamorous, less stylish and, perhaps, a less wonderful place. It is the passing of an era. And it is the job of us novelists to try to capture some of that history, some of those people’s lives, some of that spirit and humour, to enable our readers to transport themselves, albeit briefly, back into those extraordinary times.